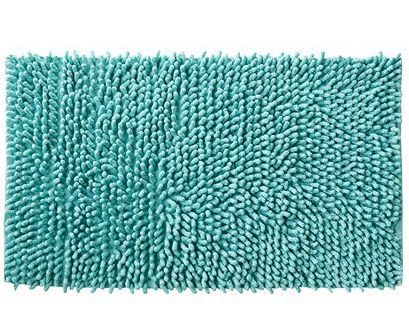 Add pretty color and texture to your bathroom with this aqua, tufted All That Jazz Bath Rug. Its made of 100% cotton to provide a soft, absorbent spot to stand. Features a safe, non-slip latex backing. Machine washable for easy care. $24.99. Buy here.